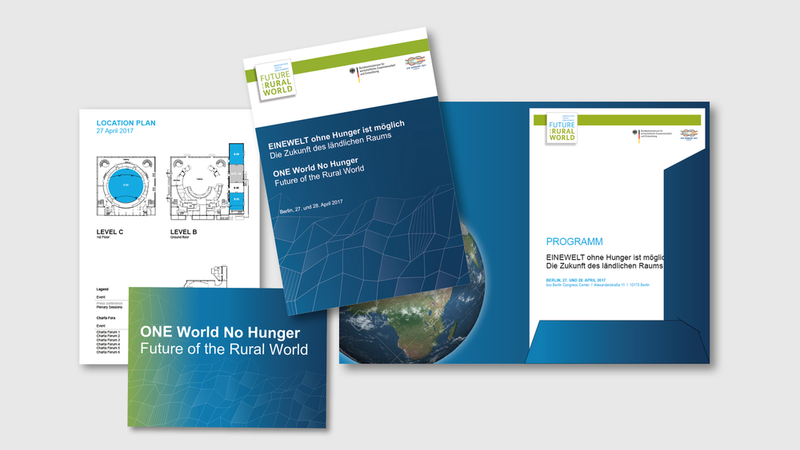 The Federal Ministry for Economic Cooperation and Development invited 800 guests to the G20-conference „ONE World No Hunger“ on April 27 and 28. The main topics of the event were creating jobs and better prospects for young people in rural areas. On behalf of the Deutsche Gesellschaft für Internationale Zusammenarbeit (GIZ), yellow developed the event branding and took over the implementation on the event media.